When my father passed away, I was given a gift of remembrance from some coworkers. 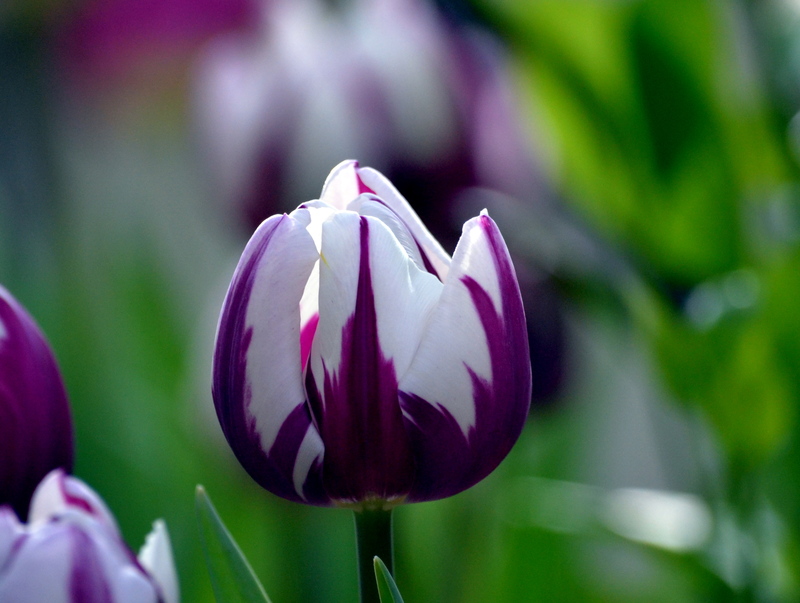 The gift was 50 tulip bulbs…. The other day I realized that this fall, it will be 10 years since my dad passed away. I think that came as a surprise to me because I do think about my dad all the time, even though he is gone. He once told me that when I was in a job interview, to answer questions as he would – brag a little. In the last months of his life, we talked almost everyday. And everyday he would choose one thing that I did that day and tell me how I had done a “good job” on that thing. He was specific and earnest. I was not close to my dad growing up. My parents were divorced when I was too young to remember him. He was not a regular (or even irregular) part of my life until I was in my twenties and living across the country from him. It took us a long time to negotiate our relationship. Fortunately, it became much easier before he passed away. And everything before that no longer matters. These days, my dad is often in my thoughts. I am struggling, trying to figure out how to work with a particular student and finding that my patience is being tested. A lot. So, sometimes, when I am struggling, I think about what my dad would say. I know that there’s a good chance what he would say would be very colourful and perhaps more than a little inappropriate – but at the same time, it makes me laugh and reminds me how I would scold and educate my dad on his inappropriate comments. It also makes me realize that if I could have the patience to forge my relationship with my dad, a relationship that took more than 40 years of negotiations to build, that I can have patience with this little person for one more day. You’re welcome. Thanks for your encouragement. A year ago today, I was flying to the USA for my Dad’s memorial service. Our relationship was difficult all of the 60 years I knew him. But even though I would be totally frustrated and so angry with him at times (and he with me, no doubt), I’ve come to realise he was one of my greatest teachers of life. I always knew he loved me, even though he could say some awful things at times. You are doing a great job remembering your Dad and still trying to learn from the things he represented. Best wishes. PERFECT photo for these beautiful thoughts.